Heather Morgan, in Jamaica Bay. Photo by Tony Gale. because she is so interested. She works for the US Army Corps of Engineers and knows amazing things about the city and its waters. 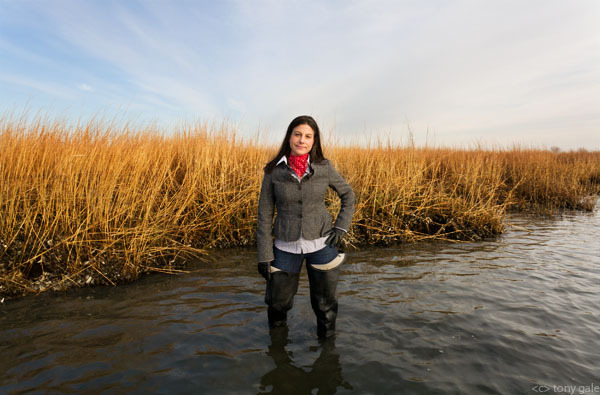 Heather is also the only person I know who works on several wetland restoration and collaborative land planning projects of the (protected) Jamaica Bay and throughout the New York City region; and sometimes rescues endangered turtles. Beside being an interesting person she’s also funny as hell.